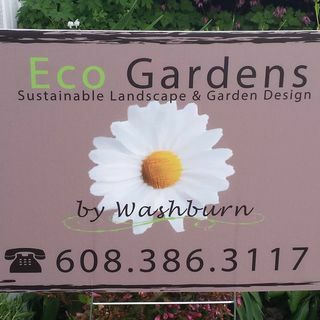 Sara Washburn from eco gardens my Washburn with our monthly podcast. So my question is there's a lot of people in the upper Midwest that have blueberries and raspberries and apple trees and strawberries. What kind of things we have to do in the winter so that way our fruit bearers survive. As far as Blueberry so you can definitely do the mulch thing around the root zone like we talked about putting these green leaves and healthy grass clippings around the root zone and in the spring then ... See More that's when you would remove those from the raspberries there are some varieties and you'll have to be careful about some varieties you can just part through and looked all the way to the ground. People that I know that just run their lawnmower right over the raspberries and they come back beautiful the next year. Some raspberry varieties though you may not want to ruin that short fruit tree. Hopefully the apples and big ones are harvested right now but as far as pruning goes fruit trees always prune trees 25 percent or less is that healthy for a mature tree. Winter I think it's the best time of her in those fruit trees. The old adage is you should prune them so that you can throw a hat through it but we want to get that fruit tree enough faith in the inside so that if there is fruit on the inside of both branches then the sunlight can get through them. And it also helps the airflow too. What about for our perennials and are annuals and our flowers that we plant in our backyards. Well at this point I would be for an annual is out you may have already started to fall out just because they're starting to feel pretty bad just simply because they take a lot of water. Well I mean they only have so long to live. Being an annual so those I would put in your yard waste bin or put them wherever you put your compost pile as long as they are disease free. It's about perennials so pruning back your perennials some of them maybe you are pretty good. That'd be balm if it got that powdery mildew on it that kind of thing. You can leave some of them and especially like the NHS which would be triple cornflower. There's a lot of seeds and those types of plants like a season and the birds will eat those as long as they're there and throughout the winter you know I say let it stand and drink a lot of lawns in the upper Midwest Sarah I have crippling Charlie and a mine included. Is there a way to get rid of that or is this a good time of the year to tackle the creeping Charlee issues in our yards. Yes it is absolutely a great time to try to tackle the creeping tritely problem right now because of the cooler days and the not so intense sunshine the cuticle of the Creeping Charlie Bean that is so waxy right now it is less likely to resist the chemical being put into it. Because our creeping Charlie and our plants are starting to think about going into dormancy.